Fans of any/all of these acts would do well to get to know Silver Sea. This Philly duo of daytime designers/late night sonic auteurs came together the way most bands do – out of boredom and completely by accident. “We met at an advertising company. We’re both Art Directors and became friends about two years ago,“ recalls Smith. Crafting a homegrown brand of electronic music with chill vibes, laid-back beats and heavenly hooks, Silver Sea’s Jim Smith (synths & beats) and David Payne (things with strings) impress and confess on their eponymous debut without saying a word. 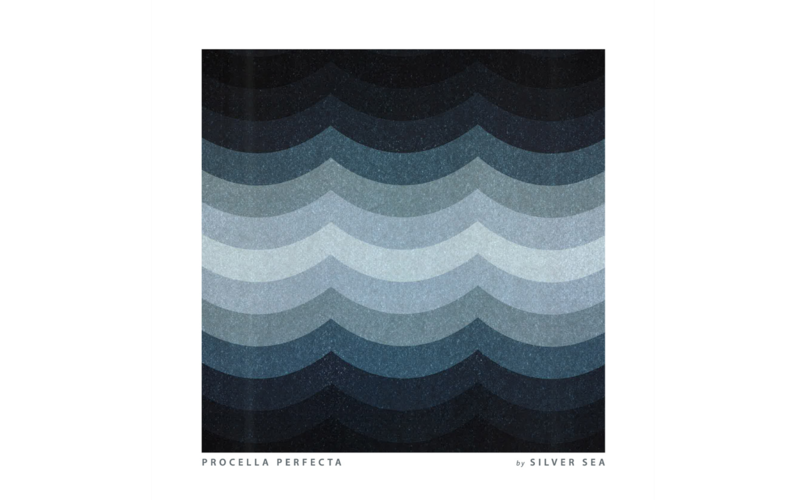 Incorporating everything from synth-pop, trip-hop, chill-out, IDM, ambient, folktronica, psybient and dreamwave (okay, I made that last one up), the just-under-30-minute mini-opus, Silver Sea is an easy listen but emotionally panoramic. With song titles like “Earthquakes & Avalanches,” “It Haunts Me Still,” and “Better Off,” you know what you’re getting into but to Silver Sea’s credit, you’ll be most surprised at the staying power of these nine beautiful songs. Despite never intending to play together live (and because of some timely facebook buzz), the pair took the stage for a set at local legendary haunt, The Khyber last month and since then, have been garnering some tour/label interest. The band is tight lipped in discussing details.